It can easily fit your culture. Arfaly Gold has been translated into 6 different languages (Eglish, Arabic, French, Spanish, Russian, and Chinese). 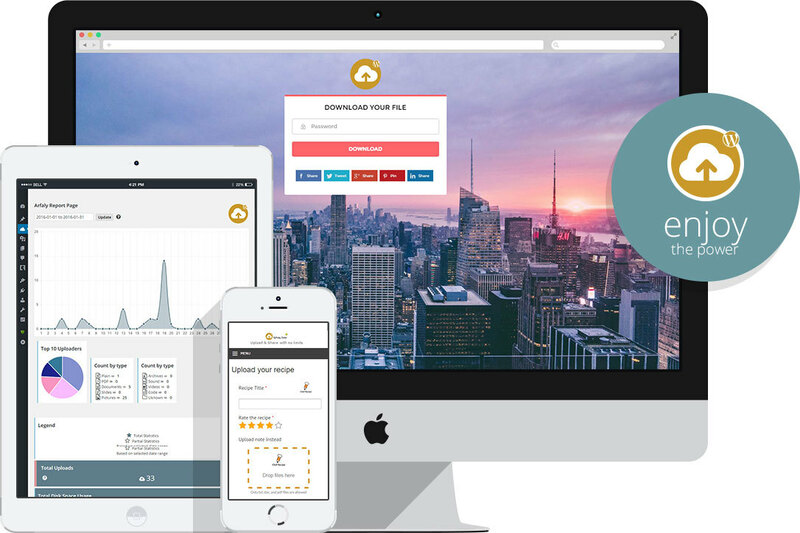 It works as a download manager, where you can select, archive, and share any files with users; and, Arfaly Gold will track the number of downloads and other details for you. 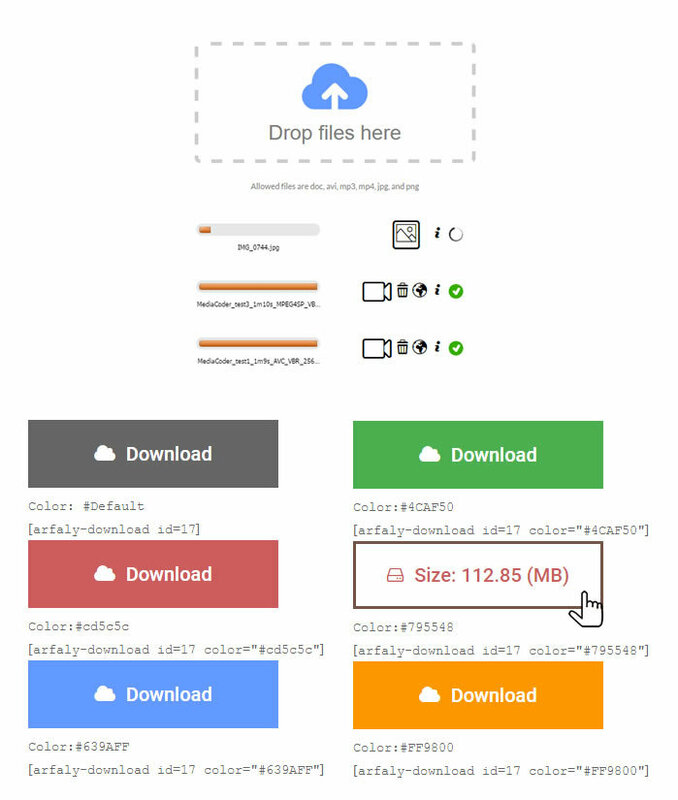 It works as an upload manager, with strong front-end uploader. Easy to integrate to other plugins through hooks. See Developer section inside the Documentation. 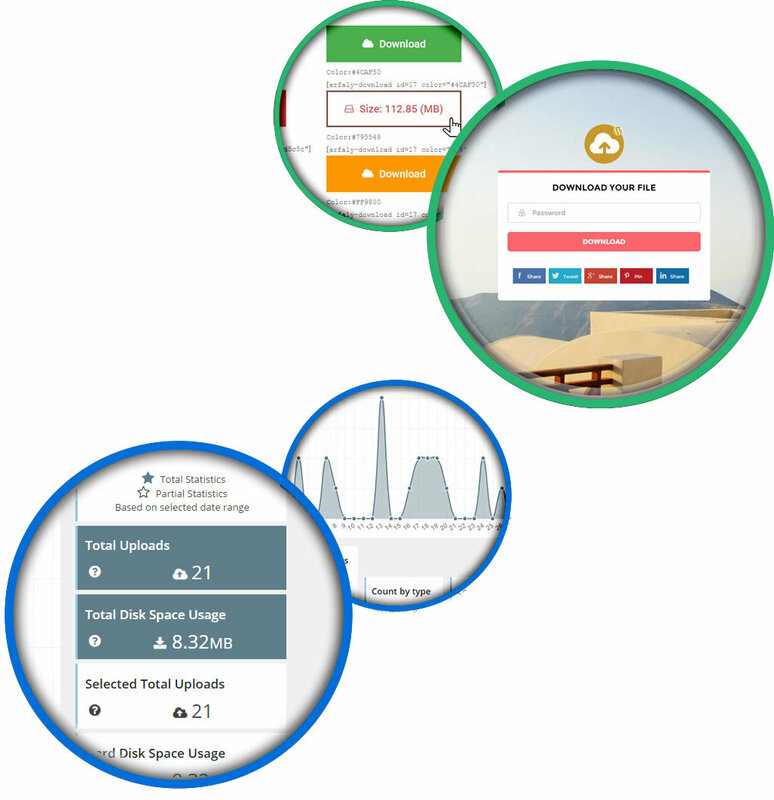 It allows you to easily interact with your users, whether guests or members. It allows you to exquisitely collect digital files through a responsive and multi-styled uploader, that accepts multi-file uploads up to 2GB of size bypassing all host restrictions through Chunk Upload feature. It provides responsive and professional looking email notification for new user uploads with customization option. It is integrated to one of the most modern and uprising dynamic and free Form builders (Caldera Forms). With this integration you can create custom forms and associate Arfaly uploaders with them. SEO optimization for the secure download page. It provides strong export functinoalities that enable you to archive, and download any patch of files you need. It can export files orderly according to Wordpress Upload folder strcuture (YYYY/MM).